ZIFT- How Much Does a Zygote Intra-Fallopian Transfer cost? ZIFT (Zygote Intra-Fallopian Transfer) is an alternative IVF treatment with the highest accuracy to have a newborn in the hand of the infertile couple. The treatment is very similar to the IVF treatment. Infertility is the struggle in the pregnancy due to the reasons as blockage of a fallopian tube, low sperm count, unhealthy uterus and irregular ovulation. Infertility of the couple has many solutions to gift them with the new life. For the infertile couple, the best solution to their pregnancy would be a lot to them if they get a healthy newborn in hand. ZIFT starts with the extraction of the egg and the sperm from the bodies of the female and male respectively to form zygote in the test tube in the laboratory. After the fertilization of gamete, the zygote is formed which is injected into the fallopian tube of the female body. The methodology is only for the women having at least one healthy fallopian tube. The method is complex; however it is a very natural process as that of the natural fertilization. The procedure is similar to TET (Tubal Embryo Transfer) as the zygote is directly transferred to the fallopian tube. Women ovaries are stimulated with medicines to increase the probability of producing multiple eggs. Eggs are collected by the aspiration process. The eggs are then fertilized with the sperm collected from a healthy male. The zygote formed is transferred after 24 hours of fertilization but in the case of IVF, it is transferred after 3 to 4 days. After the transfer of zygote, the intrauterine walls are stimulated for the preparation of pregnancy. The final step is to observe the symptoms of pregnancy by a blood test. 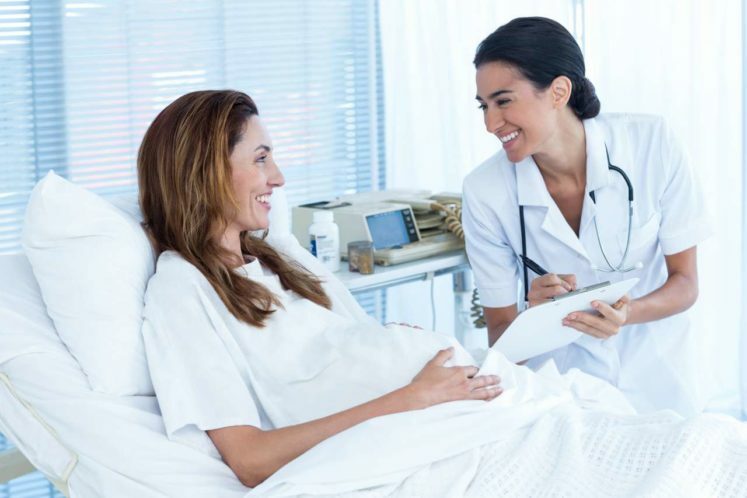 The ZIFT treatment is not recommended for the couples having the problems as- tubal blockage, significant tubal damage, anatomic problem with the uterus such as severe intrauterine adhesions, sperm that is not able to penetrate the egg. Doctors and the experts recommend ZIFT to the couples who fail to conceive after one to two year of trial and failure of 5 to 6 IUI. ZIFT (Zygote Intra-Fallopian Transfer) cost is affordable for the infertile couples to have newborn in hand. The cost of the treatment varies from case to case depending upon the place. The success rate of the treatment is high as 70%. The team members at the center are very co-operative to the patient and the family because of which they do feel easy to convey the problems. The doctors are well-experienced to handle the case of any kind. The total of the cost of treatment range between 15, 000 to 20, 000 US dollar. The centre provides a number of financial supports to the intending patients such that the treatment should be started on time. Many couples do not get the best centre and choice of treatment to start the treatment such that the new baby would flourish in the lap of the couple. ZIFT is the method of assisted reproduction of the infertile couple. In lack of the amount, the couples do not get baby throughout the life. ZIFT is the treatments that can proceed without cash in your account. The facility of instalment for the intending couples is provided by the centre. It is a tough task to arrange the amount at one time for the middle-class people. The estimated cost of the treatment would match with the final cost of the treatment after the treatment is over. The unbiased cost of the treatment will be appropriate to the couples intending for the treatment. The feedback of the treatment for the centre would be the best which would really appreciate you to start the treatment.